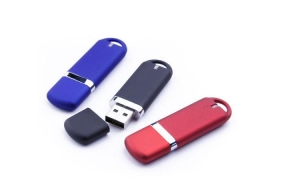 Flash drive is also known as “thumb drives”, “USB flash drive”, “jump drives”, etc. Such drives are tiny in shape but huge in capacity, which can save various files, including documents, school assignment, photos, videos, music, working data, etc. It happens quite often that files stored on flash drive may go corrupted due to various reasons, such as virus, malware, or file is not properly downloaded. This is really disheartening problem, especially when you are about to use the document or other files in company or at school. Sometimes, files might get corrupted just when we open or access them on different computers, such as using public access computers at work or school. Those computers are lack of effective protection of anti-virus programs. Thus, these operations tend to cause file loss, corruption, malicious deletion and more. In addition, files may get lost due to users unintentional deletion. As we all know, flash drive does not have Recycle Bin from which users can restore deleted files. Once files are deleted off flash drive, files are deleted directly. So how can we recover these deleted or corrupted files from flash drive? There are several solutions that can recover files from flash drive, and easy method is available to common users. The most popular and convenient way of flash drive recovery is using software to retrieve files. Such programs can be downloaded for free on the Internet, and some programs are even free of charge. Find the correct and powerful flash drive recovery software and users can recover lost or corrupted files without paying too much effort. Eassos Recovery is one of the popular flash drive recover programs, and its easy-to-use feature makes it suitable for common users who are not experienced in data recovery. The entire recovery process is simple and easy to follow. First, install the program to your Windows computer, and then connect the flash drive to computer via USB port. Second, start Eassos Recovery and follow steps offered by its wizard interface, and then you’ll be managed to recover deleted or formatted files from flash drive. Furthermore, this program supports file recovery and partition recovery from other storage devices, for instance, hard drive, SSD, external hard drive, memory card, pen stick, virtual disk and so on. Thanks to advanced data recovery technology, flash drive recovery can be obtained and carried out by anyone who is suffering from data loss. Precious family photos, school papers, project data of working, music, video files etc. has better security protection now. So it is highly recommended that an efficient and user friendly data recovery program should be installed just in case of sudden data loss. This entry was posted in Data Recovery and tagged flash drive recovery, recover corrupted files, recover deleted files by EASSOS. Bookmark the permalink.